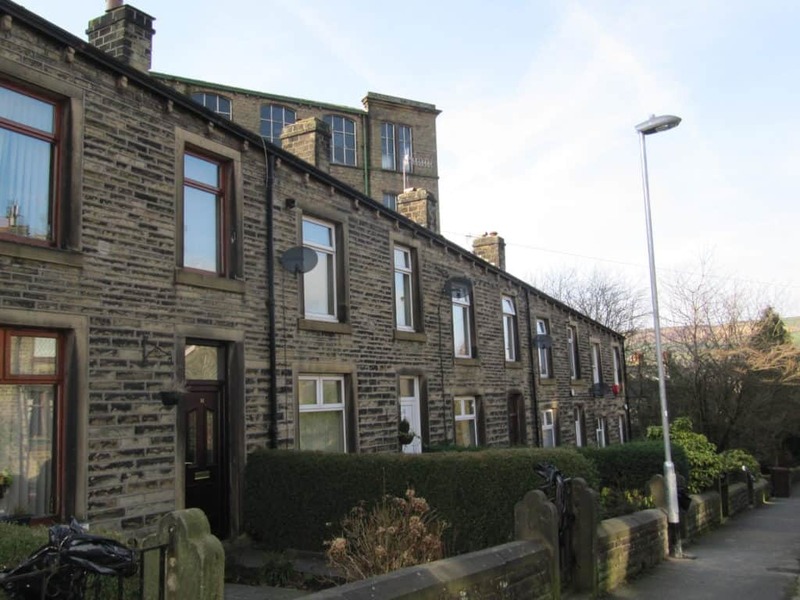 It can be very confusing knowing what to do to improve the warmth and cosiness of our homes, especially if you live in one of the ‘hard-to-treat’ older properties that are typical in this area of Yorkshire. This series of blogs is designed to help householders through this maze, so that you can make well-informed decisions based on best-practice building principles. We hope that these blogs will help you to develop a strategy for improving your home. Developed in Germany in the 1990s, Passivhaus design can help create homes which use 90% less energy than typical leaky existing UK housing stock. Passivhaus design aims to wrap the house in a continuous ‘blanket’ of insulation, maximising the use of super insulation and stringent airtightness to create healthy and comfortable buildings that require minimal heating. 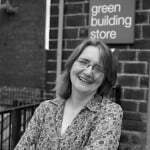 Green Building Store and Green Building Company have been at the forefront of low energy building in the UK. 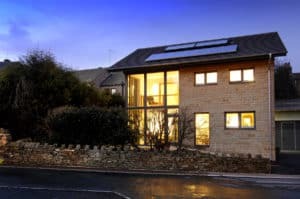 In the case studies featured in the Warmer Homes project, we have applied our knowledge of low energy ‘Passivhaus’ approaches to two different house types to show the energy efficiency strategies available for typical West Yorkshire homes. People often see low carbon homes purely in terms of bolt-on renewable technologies such as solar panels and wind turbines. Meanwhile insulation and good airtightness are ignored or forgotten, the invisible, unsung heroes of low energy refurbishment! It is now widely agreed that it is important to address the energy efficiency of the house first before looking to bolt-on solutions. Not only will this increase the comfort and warmth of your home (and save you money on bills) but it also offers a robust long-term solution, future-proofing your home for the years to come. All too often supposedly ‘green’ homes have features which have the outward appearance of being eco-friendly, while actually being very energy inefficient. Good examples of this would be bare floorboards (very draughty), replacing gas boilers with wood-burning stoves (no net CO2 reduction) or installing solar panels (without addressing insulation first). 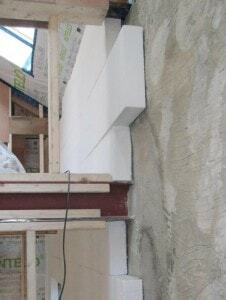 We need to bring the focus back to good insulation and airtightness strategies. Our next blog looks at the 4 key principles for energy efficient refurbishments. Advice on low energy retrofits to help householders improve the energy efficiency of their homes, including guidance on developing ‘whole house plans’ and ventilation strategies.